RUB OUT STUBBORN FOOD-PREP FUNK! Need to rub out that onion, garlic or fish smell that lingers on your hands after cooking? Odor eraser is here to help eliminate those unwanted scents. 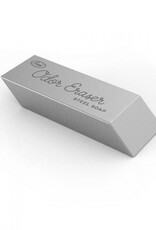 Just rub this stainless steel "soap" on your hands under running water, and give your hands a fresh start. 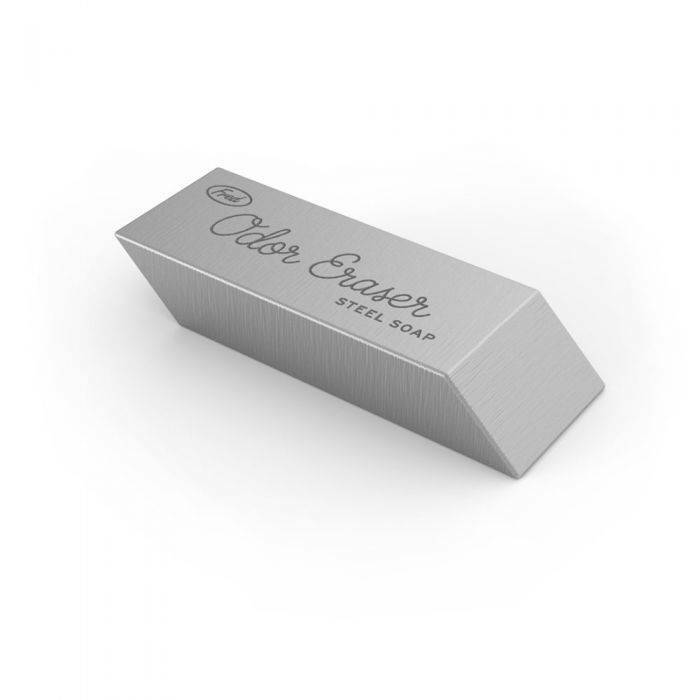 Also keeps nails clear with its integrated cleaning edge. Brushed stainless steel.